Thanks to a sweet invitation from Ms. Deeana Ray, third grade educator, I'm going back to visit my "Home" school. Hopefully during the first few days of December 2014, I will be visiting the third graders at West Marion Elementary School. I worked there for over 20 years as Office Coordinator and have so many friends that I look forward to seeing again. Mrs. Ray's students will be visiting the Biltmore Estate on December 11, 2014 for a field trip. The house will be beautifully decorated for Christmas for their adventure. Wonder how many Christmas trees will be decorated at the estate this year? Last year, there were 56 in the four acre house alone! I know the wonderful staff at the "House" will make them feel welcomed with warm hospitality. 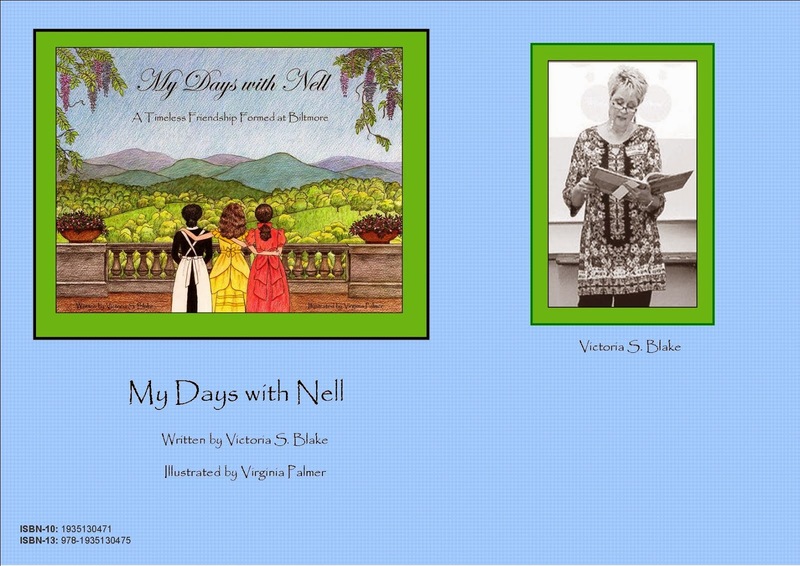 I love to speak to students at the elementary level about the traditions and research I did while writing, "My Days with Nell." Mrs. Ray invited me to go with her class to my favorite place in this world and I will have to check my calendar... but am honored at her invitation. But either way, Biltmore... they're coming!!!! I am grateful to Mrs. Katie Carter, McDowell County educator, who has invited me to come speak to the third graders at Glenwood Elementary School on December 1, 2014. This is my second visit to this wonderful place. In January, 2014, I spent the day with students in grades 2-6 for an Author Day. I shared the writing process with those students and how it related to writing, "My Days with Nell." After speaking with Mrs. Carter, I have decided for this visit I will share information based on the research I did while writing the book. Glenwood Elementary's third graders will be visiting the Vanderbilt Home during the first week of December and hopefully my visit will get them excited about their trip... as if that were needed. :0) The "House" will be decorated for Christmas and I'm sure as in previous years, will be gorgeous. I am excited about this opportunity and look forward to sharing historical information and wonderful Vanderbilt Christmas traditions with these students. CAN'T WAIT!